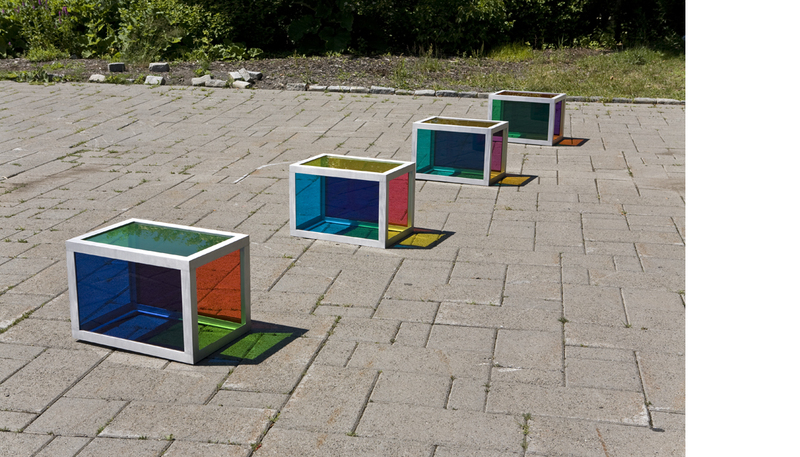 This piece was produced for the exhibition Artefact Montréal 2007 – Urban Sculptures located on Île Sainte-Hélène. 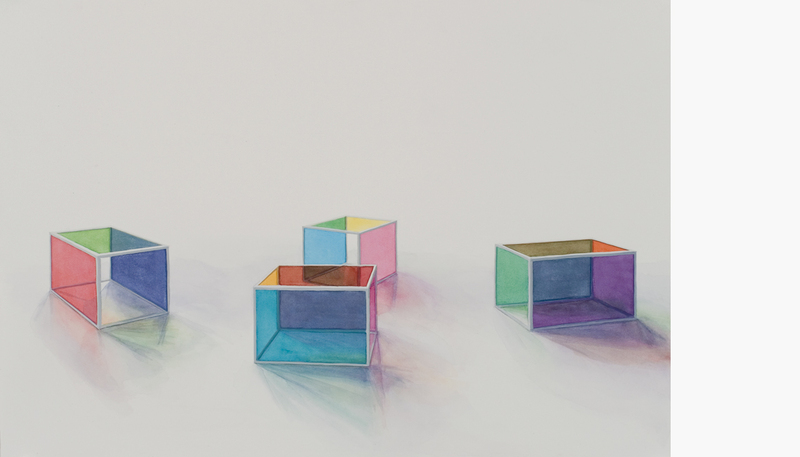 The four-month exhibition celebrated the 40th anniversary of Montreal’s World Fair and explored the themes of small pavilions and other follies. 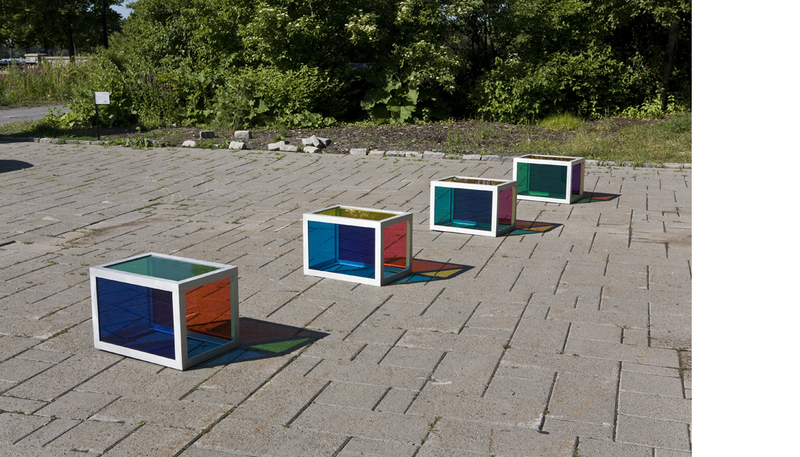 I proposed an open-air glass pavilion that spectators could enter and view the world around them through the full spectrum of colours of the rainbow. 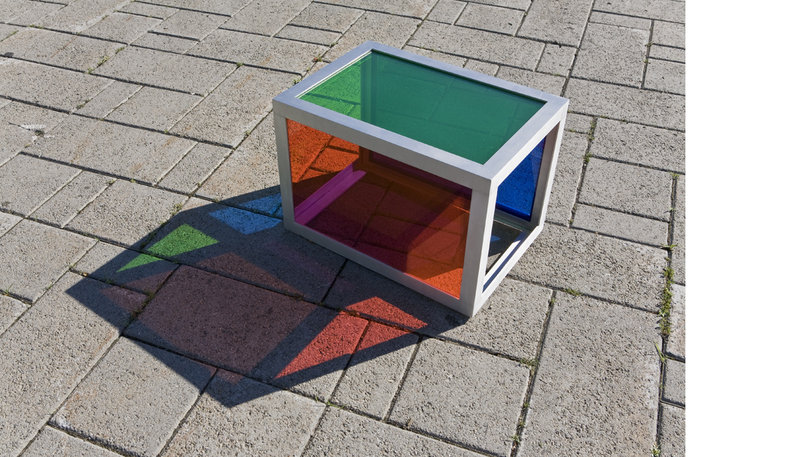 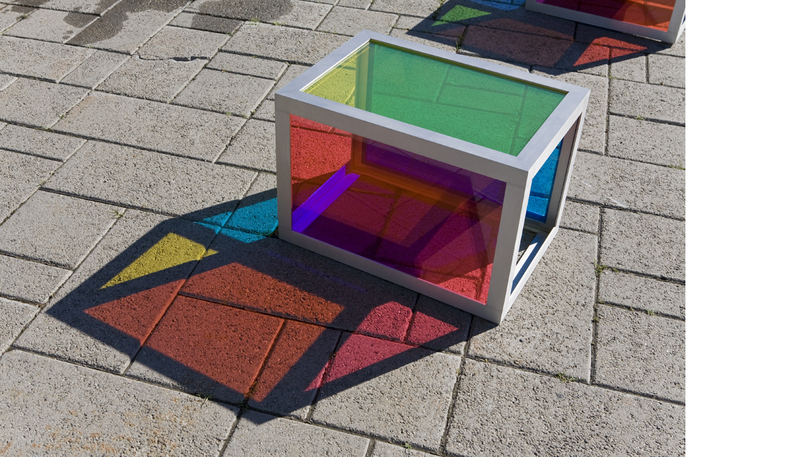 As this piece was too ambitious for a temporary installation I produced the series of four cubes, The end of my rainbow, colour study, these aluminium framed glass cubes playfully combine the 12 colours of the laminated glass I had researched for the imagined pavilion. 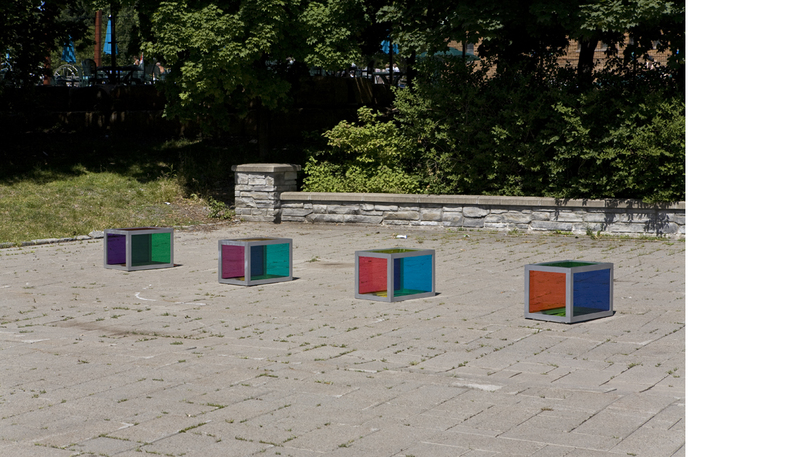 The title, The end of my rainbow, refers to what I imagine was the atmosphere of the Expo 67 event full of optimism and hope for the future, and more generally the place where one believes their future lies and their dreams can come true.